As our own son made his way through kid karting, we realized a need for a better axle. We now have thousands of PKT axles in use throughout the country. All PKT's products have been developed in this manner. We discover a need, create a design, build and test, then go racing. With over 35 years of manufacturing experience, coupled with a passion for karting and a desire to see our kids excel at a great motorsport PKT was born. We pride ourselves in our superior customer service. 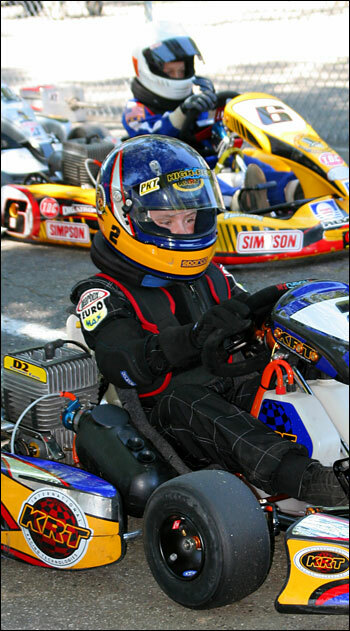 PKT represents multiple manufacturers, handling only the finest quality karting components. Rotax was becoming more and more popular in our area and we decided to investigate the program. After becoming a certified Rotax Service Center, it became apparent that there were improvements to be made. So, we were at it again, hence, the creation of the PKT Rotax Pipe Mount, the PKT Rotax ISO Starter Support and the 40mm and 50mm axles. But we didn't stop there. Staying true to our original goal of supporting the 5-15 year old driver, our focus remains on enhancing the experience of these young drivers and helping them to excel at a great motorsport. Please visit our PKT Products section to see our full line of high quality karting components.